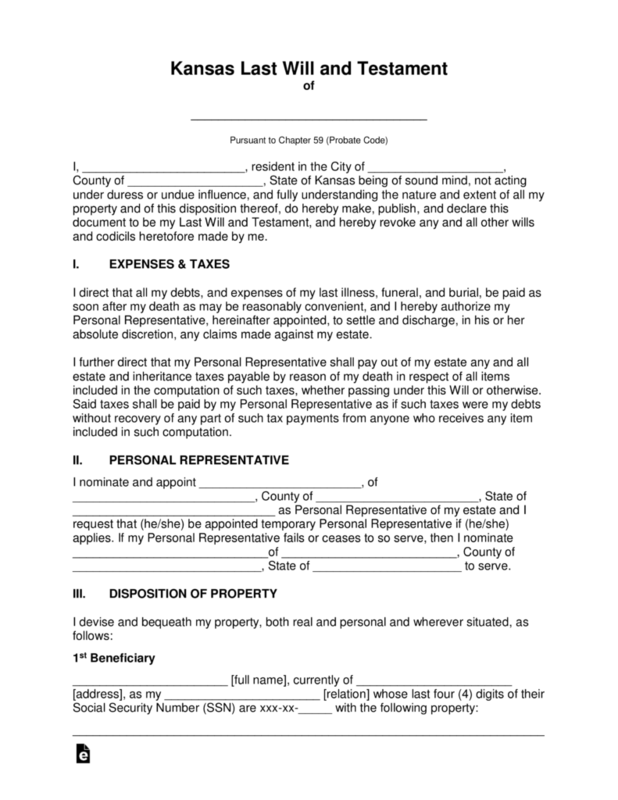 The Kansas Last Will and Testament is considered a legal document in the state of Kansas, which allows a testator (the person setting forth the document) the opportunity to place into writing how they would wish to have all of their property, whether it’s real estate, fiduciary, personal property 0r even digital property, distributed among family, friends, even pets, and charities, according to their wishes and not those of the courts upon the death of the testator. 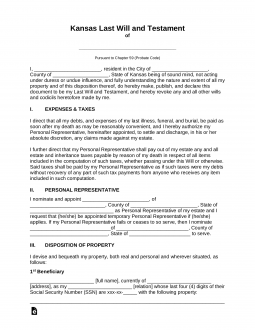 This document, once completed, must be signed by two witnesses and must be notarized to be properly authenticated. Signing (Section 59-606) – Shall be signed by Two (2) or more competent Witnesses. Step 7 – Notarization – Once the notary public has witnessed all signatures they shall complete the remainder of the document and acknowledge it by affixing their commission and state seal.